Well my parents last day in Vegas was upon us and I was sad. I didn’t want them to leave! I was enjoying spending time with them and exploring parts of Vegas I hadn’t taken the time to visit before. They were also a nice distraction from my recent break up and them leaving meant I actually had to deal with that. 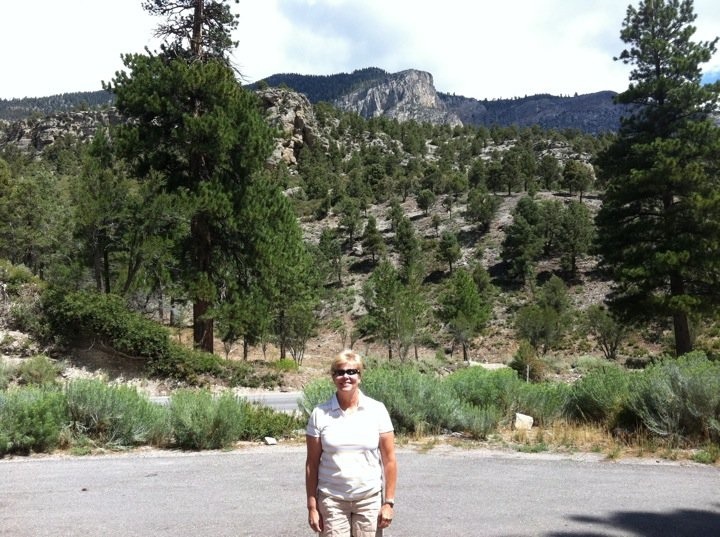 For my parents last day I actually got up a lil earlier than I had been, we were dropping off my car for an oil change while we took their rental car up to Mount Charleston. 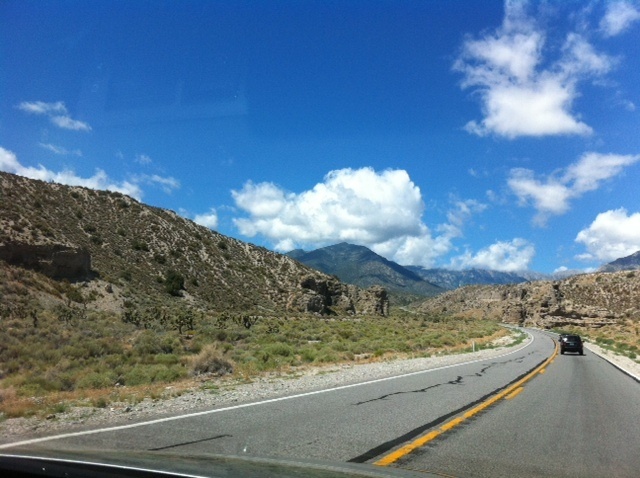 Mount Charleston is about 30 or so minutes outside of Vegas and offers hiking trails, skiing (in the winter), and just a huge change from being on the strip. The drive in is spectacular. The views were unbelievable! I almost forgot to take pictures but then managed to snap a few. Its crazy how the vegetation changes as you go up in elevation and that there’s a desert 20 minutes back down the mountain. 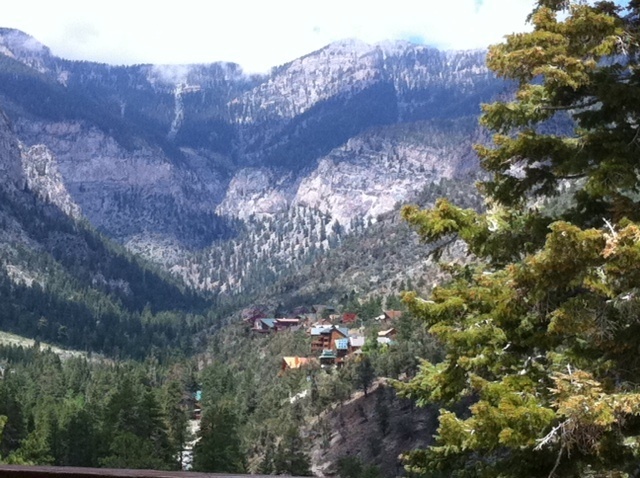 Our first stop on the mountain was at the visitor center just to check things out. The view is so pretty! 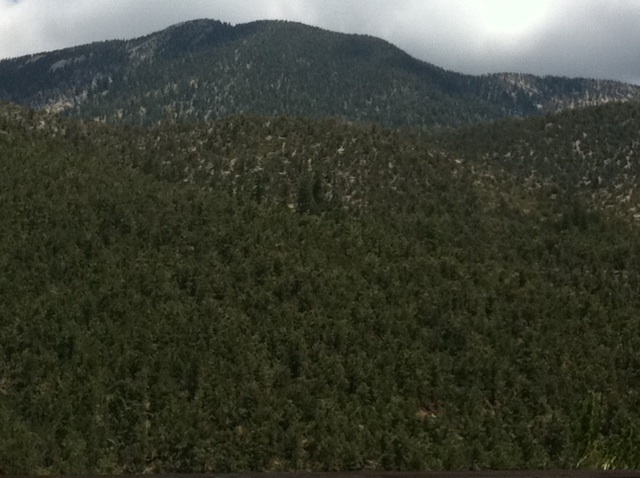 I got some information on hiking trails and I def plan on coming back and doing some of the easier hikes. 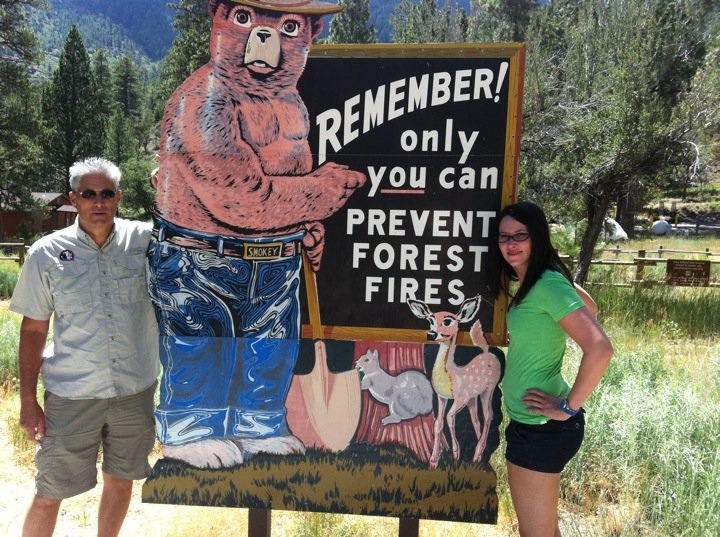 Just helping Smokey the bear protect against forest fires. We were pretty much in the clouds, it was awesome! 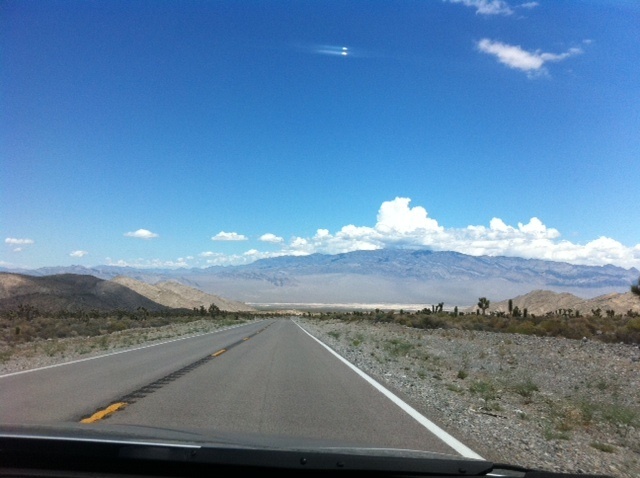 The weather was perfect up there, easily 20 degrees cooler than being on the strip, which was over 100 degrees that day. After driving around and checking things out we decided to stop at the Mt. Charleston Lodge for lunch. They had a nice outdoor dining area with a deck. This was my view from lunch, not too shabby. I just love how peaceful it is up here. The food was also good, but a lil expensive for me. I guess you can charge more being the only restaurant on this side of the mountain! After lunch we decided to go down the back side of the mountain (which is the ski resort side) since there was a cool view point along the way. 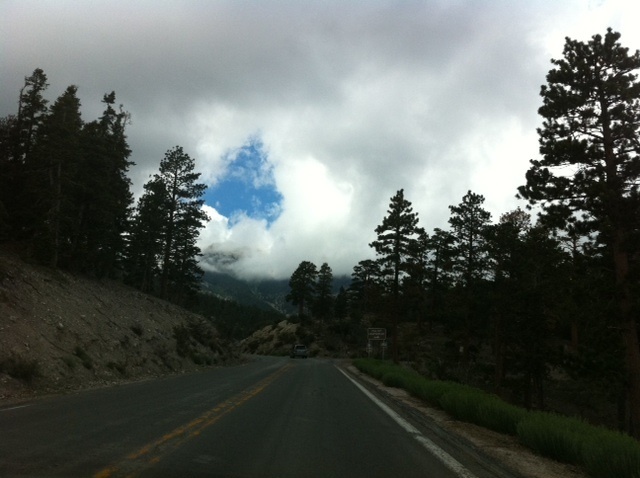 We were still up in the clouds, and had to climb up the mountain a lil more to get back down. 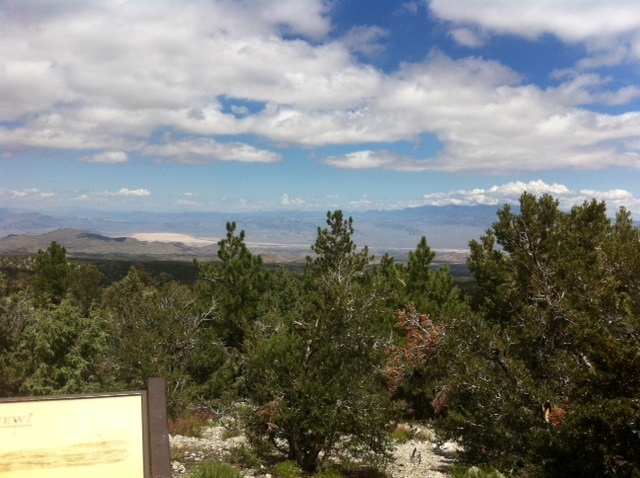 The view point was awesome, you had the vegetation from the mountain, but could see down in the valley area outside of Vegas. It was such a contrast. I had my digital slr, but the coloring was giving me trouble with my settings, so they didn’t turn out as well as I would of liked. The sky was so pretty that day and we made it back down to cactus territory. The trees were fun while they lasted! 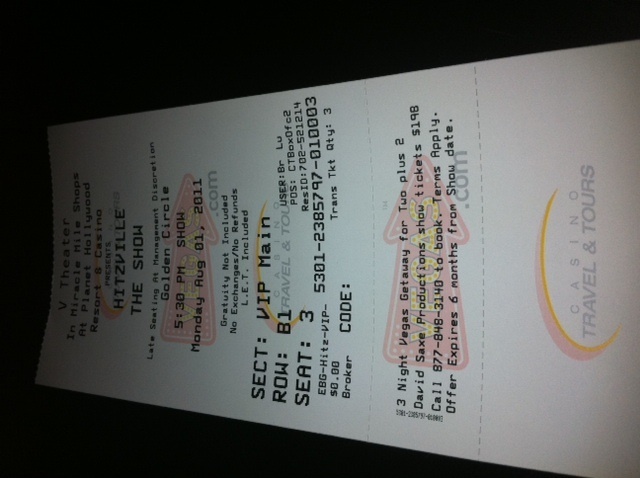 Hitzville at the V Theater in Planet Hollywood. It was a Motown Review type show. The singers were really talented and my parents really seemed to like the show! We were in the VIP section up front which was interesting, I actually think I would of preferred the general admission seats. Hitzville was an early show, so we had dinner afterwards. 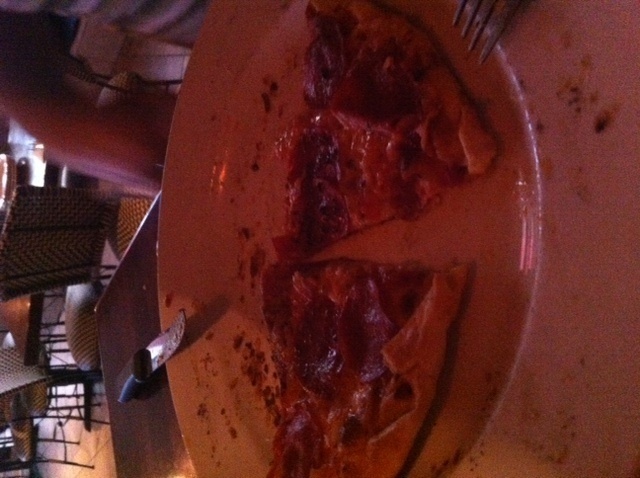 My parents wanted to go somewhere off the strip so we went to Sammy’s Woodfired Pizza. They do pizzas and some healthier options. For their pizzas they offer regular crust, thin crust, whole wheat crust and gluten free crust. I was pretty impressed by that. 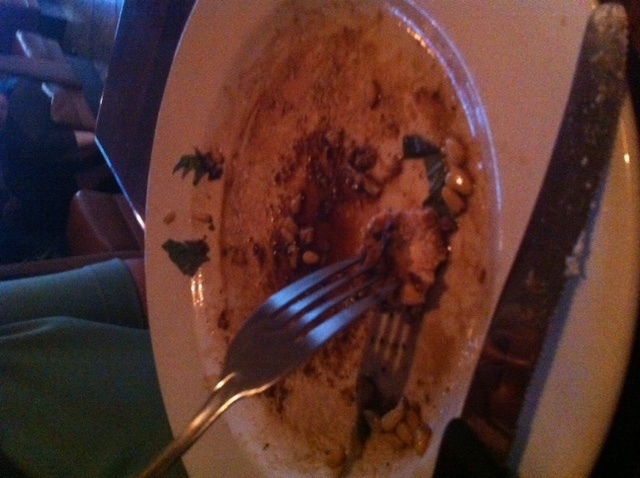 My Mom had the oak roasted chicken breast. She’s quick and I only managed to get a picture of her last bite. She really really really liked this meal, and she knows chicken (she only has it a pretty much every meal). The chicken is cooked with fresh herbs, extra virgin olive oil, balsamic vinegar, pine nuts and asparagus. I think I’m gonna try it the next time I go there. 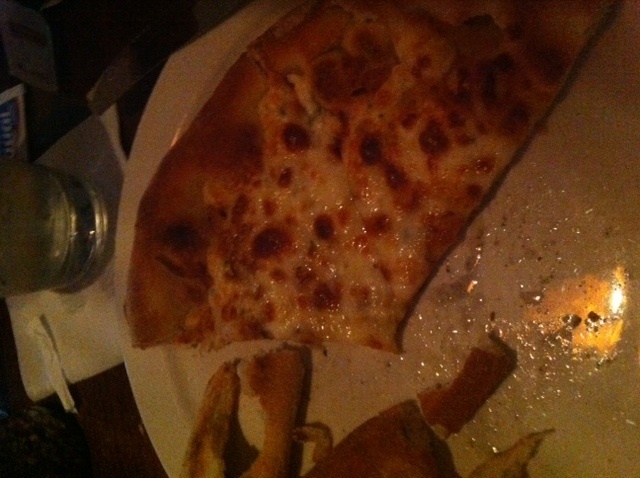 I can’t resist pizza (especially if it doesn’t have red sauce) so I had the five cheese pizza. It was delicious and I saved the last two slices for lunch the next day. I was so sad to say good bye to my parents! Their visit was just what I needed. Luckily I will see them next month for my cousin’s wedding on the east coast. Do you live near your parents? If not how often do you get to see them? Those pics look gorgeous! Such a pretty view :). When I’m in school in Boston and my parents are in Ohio I see them maybe once or twice a semester. It’s hard but I’m usually so busy that it doesn’t always seem like it’s that long. Thanks, my iphone takes great pics, which is nice since I’m still figuring out my new digital slr! Being busy with school definitely helps distract from missing family. When I get a job and don’t have the option to travel as much it’s definitely going to make it hard to live across the country from my family!